It was already rumored that Samsung would unveil its next flagship handset—the Galaxy S9—at Mobile World Congress (MWC) next month. Now, the Korean company has confirmed it: The latest version of the S line will be shown off at an Unpacked event in Barcelona on February 25. Last week, reliable leaker Evan Blass tweeted that the S9 would debut on MWC’s start date, February 26. According to the invites and teaser tweet sent out by Samsung, he was only one day off—the event takes place the day before MWC. Blass also said that consumers would be able to pre-order both handsets—the S9 and S9 Plus—on March 1, and that the shipping/release date is set for a little over two weeks later, March 16. Samsung isn’t giving anything away in its teaser advert, though it does come with the tagline “The Camera. 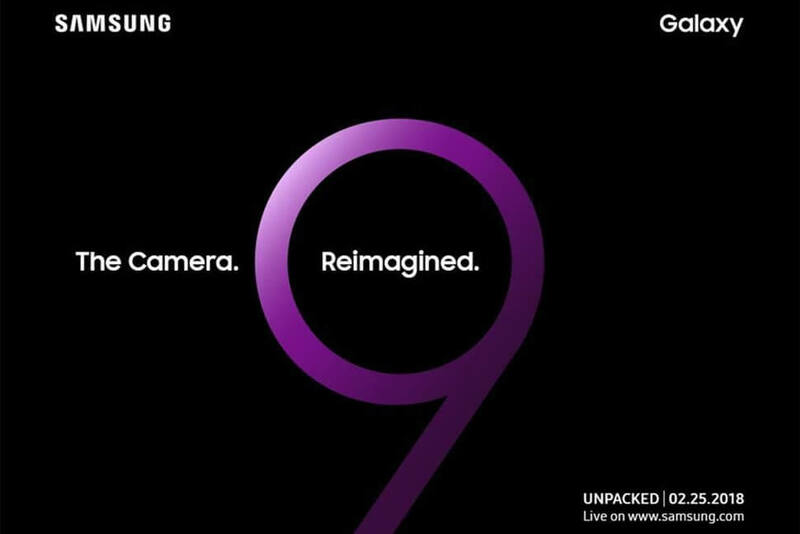 Reimagined.” Leaked images of the S9’s retail packaging lists it as having a f/1.5 aperture, which would make it the largest out of all the current smartphones. The S9 handsets’ designs are expected to be similar to their predecessors. The biggest change will likely be in the S9 Plus model, which, according to case designers, has a vertically-oriented dual camera setup with the fingerprint reader positioned directly underneath—something that will doubtlessly please those who found the sensor’s off-center position to be the worst thing about the S8 and Note 8. The S9 Plus does appear to have smaller bottom bezels, too. Android Headlines estimates the screen-to-body ratio to be around 90 percent, six percent more than the S8 plus. The metal and glass materials, dedicated Bixby button, and 6.2-inch display are expected to remain. We'll doubtlessly find out more in the weeks leading up to the Unpacked event.